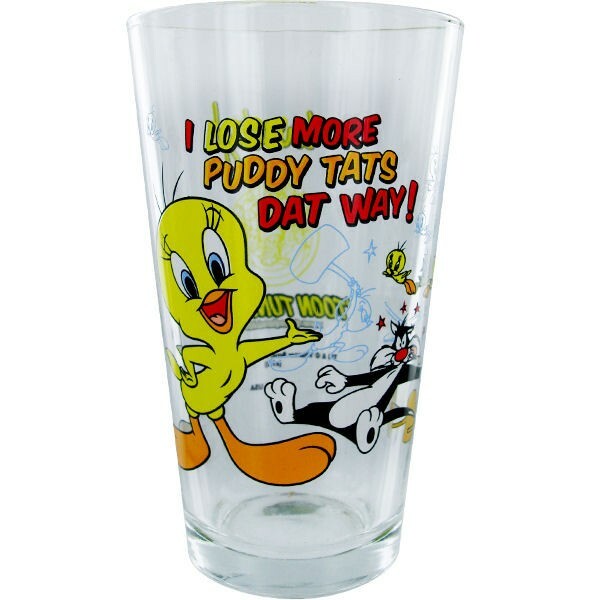 Tweety Bird gets the best of Sylvester the Cat yet again on this lovable Looney Tunes glass featuring the blue-eyed, yellow canary saying, "I lose more puddy tats dat way!" as Sylvester gets conked on the head. 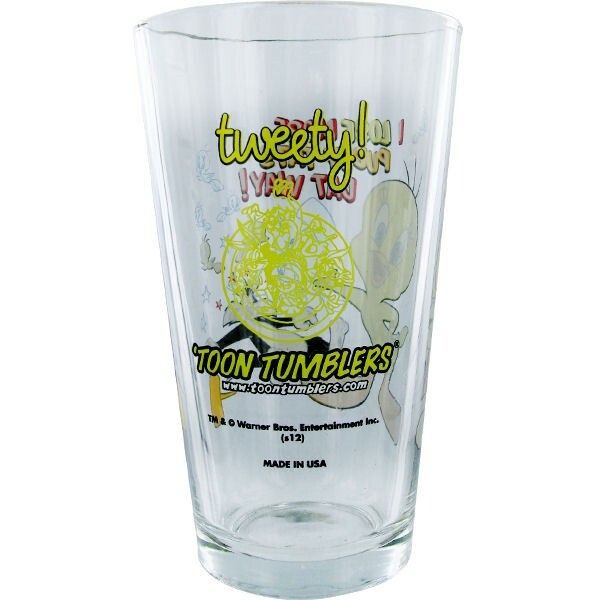 The 6-inch-tall Looney Tunes Tweety Sylvester Pint Glass is clear and has the "Toon Tumblers" logo on the opposite side. 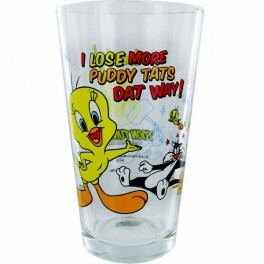 Collect the set, starting with this mischievous Tweety and Sylvester scene! We do however recommend washing this Glassware product by hand with some soap and water. This will ensure the best care to protect and preserve the artwork on these glasses from higher temperature automatic dishwashers and harsh dishwasher detergents. 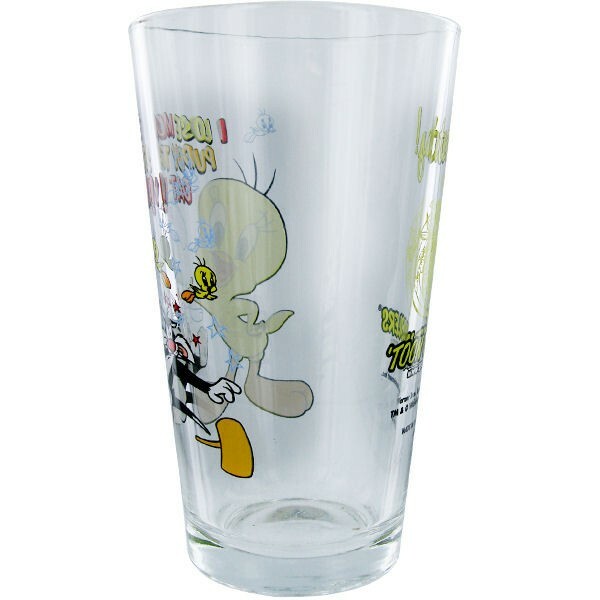 Your dishwasher may fade the art from this glassware if washed improperly.